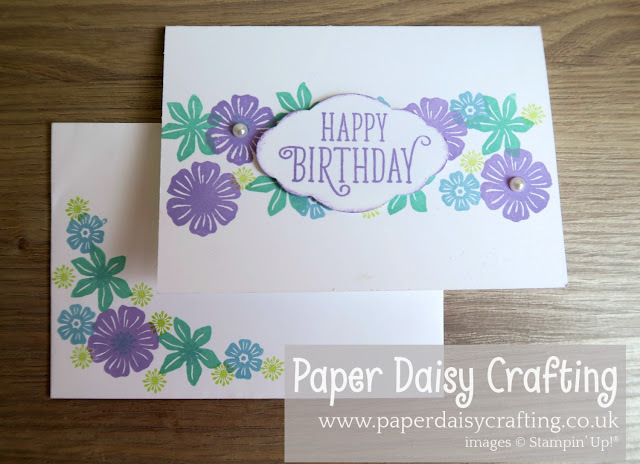 Paper Daisy Crafting: Even More Simple Stamping!! Hope you are well today. Thanks for stopping by to read my second post today!! As promised yesterday, I'm back to show you the other cards I made based on the same design I posted about yesterday. 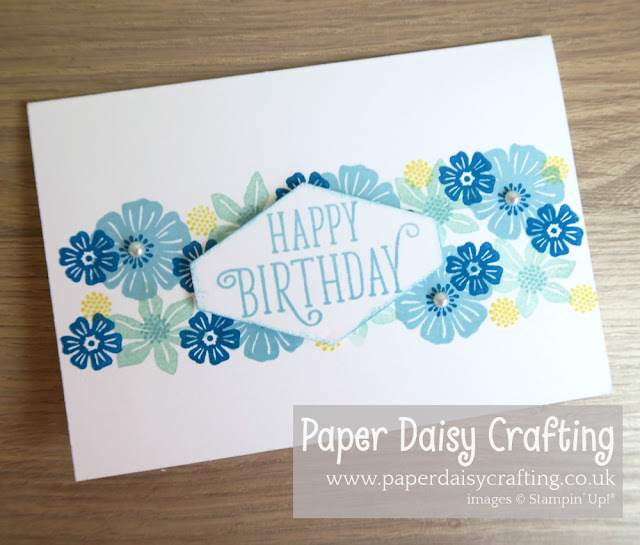 This was the original design where I stamped on a Whisper White panel and mounted it on a coordinating coloured card base. As you can see, I also showed them how to decorate the envelope as well. We stamped inside the card too, but I forgot to take a photo! 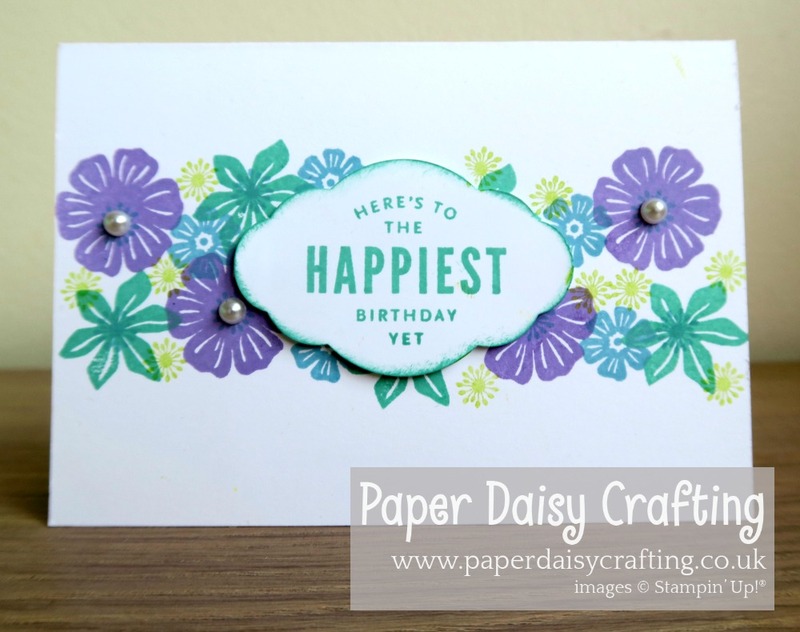 For this next card, the background stamping was more or less the same, but I changed the sentiment, using one of the stamps from the Lots of Happy card kit. Here I used Blueberry Bushel, Balmy Blue and Daffodil Yellow. 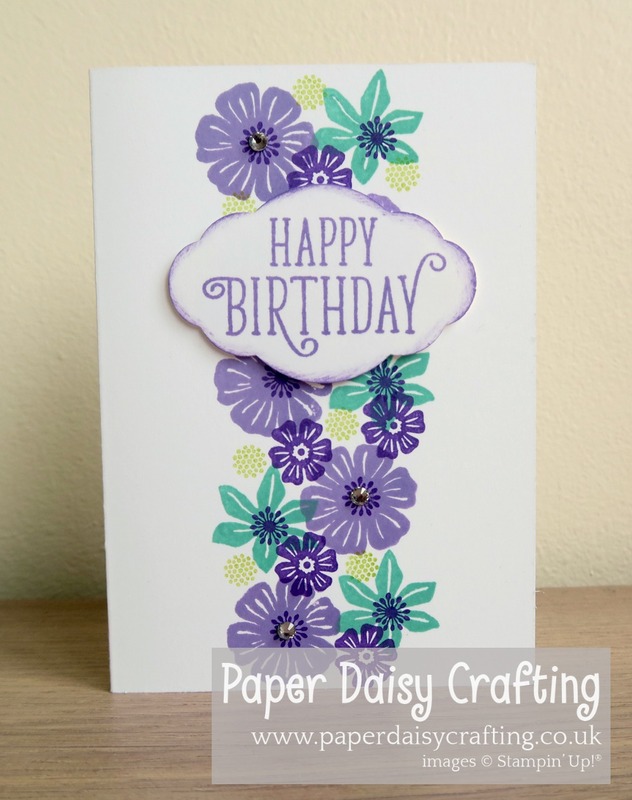 For this one I just changed the label punch I used - using the Tailored Tag punch instead of the Pretty Label punch. 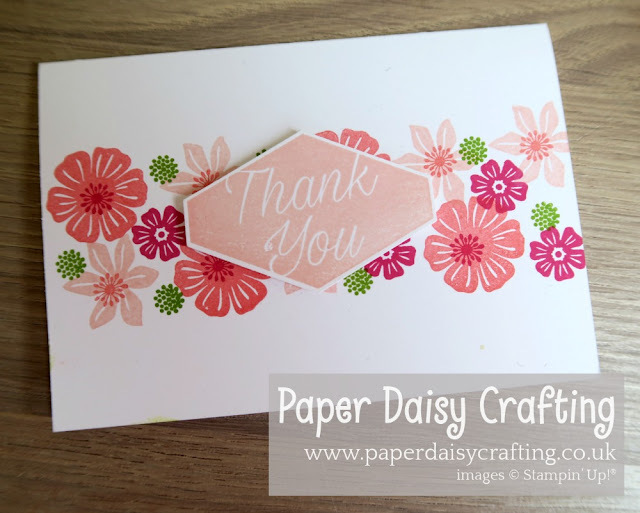 And for this one, in Flirty Flamingo, Melon Mambo, Petal Pink and Granny Apple Green I used the same punch and coordinating stamp set for the sentiment - Accented Blooms. Lastly, back to the first colour scheme, but this time I changed the orientation to portrait rather than landscape. So what do you think? 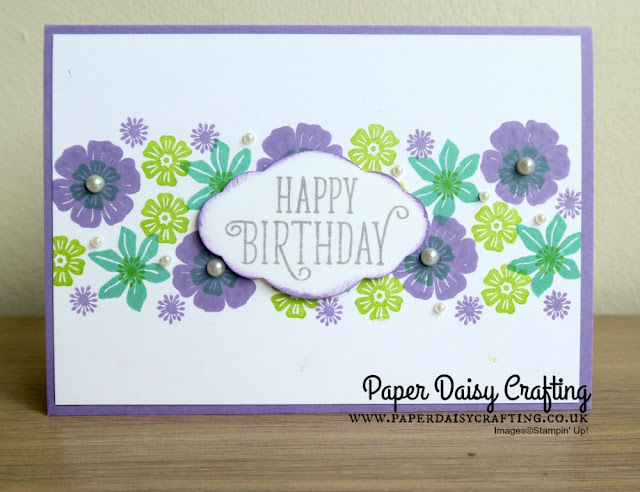 Such a pretty set of cards with a few basic supplies. Hope you like them! And just in case you missed it, here is the video tutorial for the basic design.